NaNoWriMo 2016 – Come Write In Sessions Woo Hoo! Shannon is excited to announce that she has received the go-ahead to host Come Write In sessions at her work for the second year in a row at Doe Library on the UC Berkeley campus! 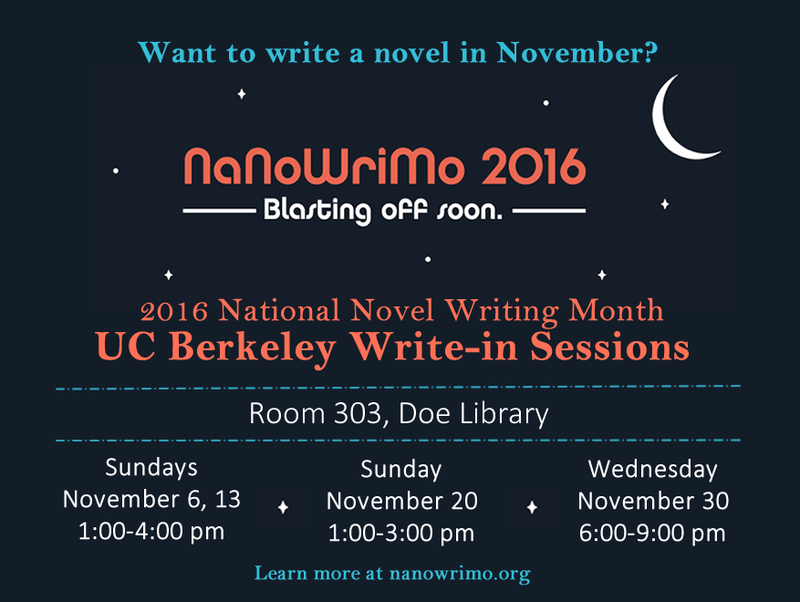 If you’re in the area and you’re signed up for NaNoWriMo this year, check the calendar in the East Bay Home Region soon for more details!